Maps of science representing the structure of science can help us understand science and technology development. However, navigating the recent scientific landscape is still challenging, since application of inter-citation and co-citation analysis for ongoing projects and recently published papers has difficulty. 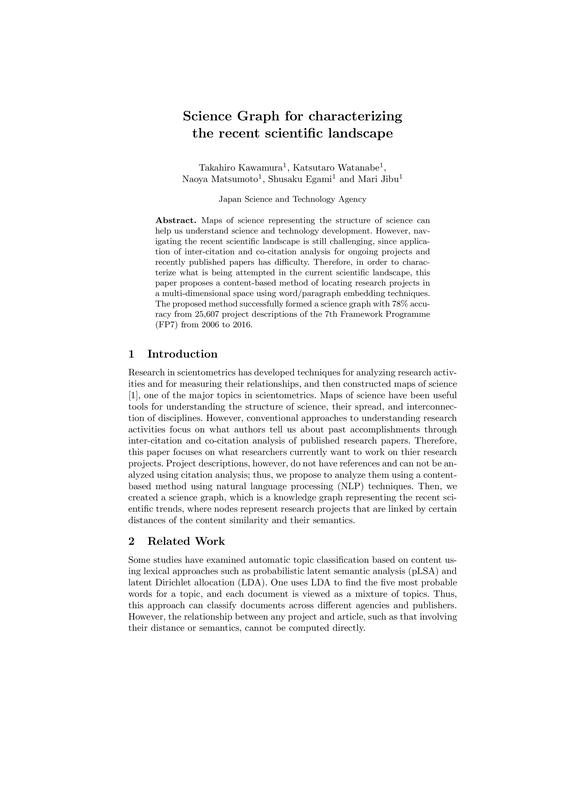 Therefore, in order to characterize what is being attempted in the current scientific landscape, this paper proposes a content-based method of locating research projects in a multi-dimensional space using word/paragraph embedding techniques. 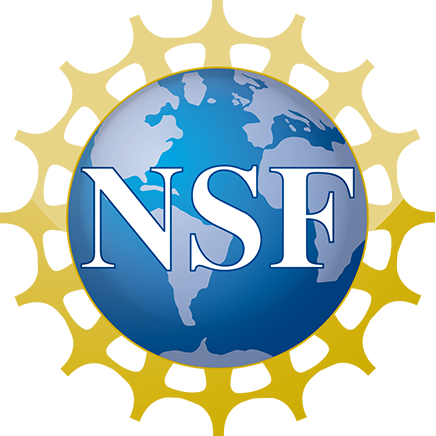 The proposed method successfully formed a science graph with 78% accuracy from 25,607 project descriptions of the 7th Framework Programme (FP7) from 2006 to 2016.